What are my next steps after you import my WebOffice data? 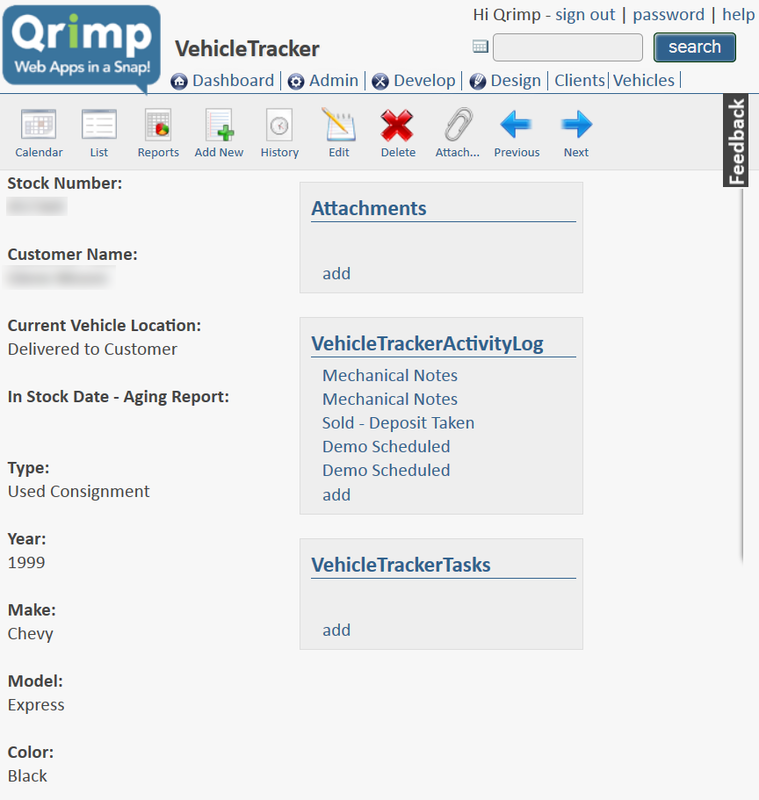 After we have run our import tool, please log in to your new Qrimp app and thoroughly review your system. There are a few extra set-up tasks you will need to do. Depending on which features you used in WebOffice, some components may need to be re-created. You can complete the majority of these additional set-up tasks yourself using the links to our Help Documentation in the list below, some of these issues we will show you how to do in the post-import webinar, and for others you may need help from us. WebOffice does not give us access to each user's calendar. Each user with a calendar will have to export it and then it can be imported into Qrimp. 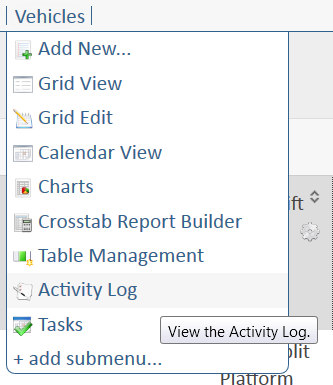 Have each user log in to WebOffice and export their calendar(s) to a .csv. Compile all the results into one table or import them into your Qrimp app and we can integrate those calendar records into our calendar interface. Have a look at each table ("database") and make sure it contains all of your data, loads quickly, and is set up properly. Are any tables missing? Is any data missing? Do there seem to be any anomalies in the data? Make old user accounts inactive or delete them. Hide menu tabs (links along the top) for outdated or seldom used tables. Hide or delete old databases that you no longer need access to. Occasionally, Qrimp's import tool cannot make an automatic determination about your datatype. For example, a date field might contain data that was not recognized as a date. Change datatypes. You can convert fields to dates, numbers (with or without decimals) and currencies. Are your url and email fields showing up as links (if you want them to)? As you look at your data, make note of special security considerations. Should particular groups of users be only able to see the data they create? Menu tabs: Permission to see each menu tab/link in the app is based on user groups. You must set Group Menu Visibility for each tab. If you have related data that appears in drop-downs, you will need to convert those fields to drop-downs in Qrimp. Once you have converted them, you may see old/historic fields appear in your drop-down. You will need to hide those. Would you like to change the links to data in the related data area? Qrimp will choose a default field to represent records, but you may wish to change this. If you had calculated fields, WebOffice only backs up the value in the fields you've defined there, not the formulas, so those formulas need to be rebuilt in Qrimp with the same calculation as was in WebOffice. This usually requires deleting the existing field with raw data in it in Qrimp, then re-adding the column using the computed column specificiation from the Table Manager. Check that links to your attachments (uploaded documents) work. If there are any issues, it may be due to file extensions or names. Note that attachments in Qrimp work differently than in WebOffice. Would you like to change the skin or add your logo? 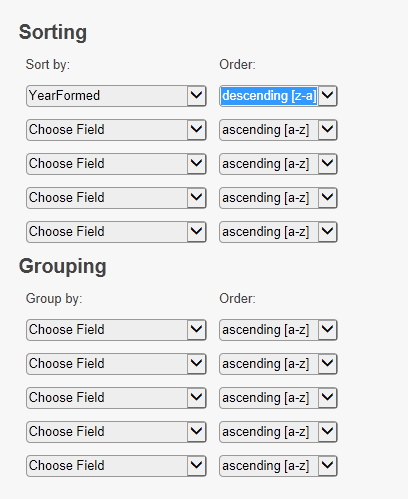 If you want to change the order of your fields in your tables, please use the grid view to rearrange columns. Tasks are not included in the WebOffice backup. If you were using tasks in WebOffice, you will need to have each user who used tasks log in to your WebOffice and back up their own tasks. If you had custom views set up on your WebOffice databases that let you sort and filter your tables, you must re-create them using Qrimp's custom view builder. Sometimes when WebOffice exports your data, they concatenate First, Middle and Last Names into one field. The same is true for Address Line 1, 2, 3 etc. City, State, ZIP. If your imported data has names and addresses concatenated that must be broken out, please let us know. Also see our Help Topic on this subject for more information. Are there fields that need to be required? WebOffice's back up doesn't transmit which fields are required. Please let us know and we can do this for you. Look for pages that load slowly. This can be caused by drop-down fields that contain a lot of data. Let us know, we have a fix for this. Custom Views add visibility to your data. Custom views let you sort and filter your data without writing queries. Some systems call these types of views reports. Many Excel users will be familiar with this functionality. Sorting and filtering are very useful when you're dealing with rows upon rows of data and you want to have a quick peek into what it looks like organized in a particular way. 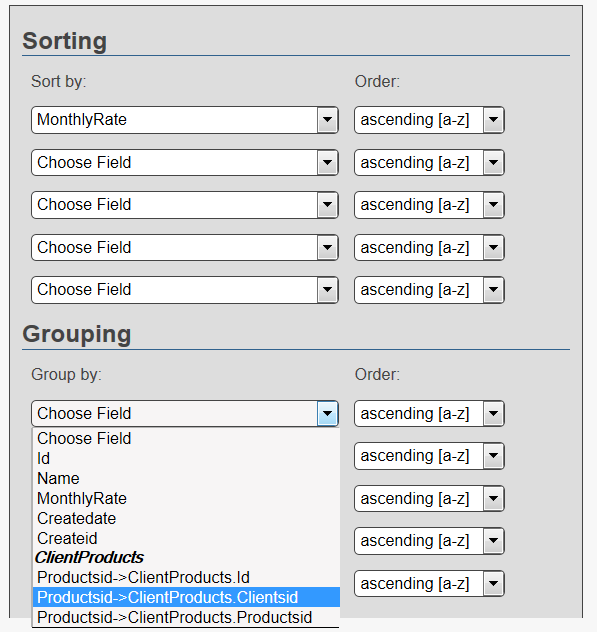 An example of a custom view would be Employees, sorted by last name descending and ordered by start date. What's really cool with the views is that because they are saved, you can refer back to a view any time by selecting it from the drop-down at the top of your table (in grid view). With the new custom view builder, you can select the fields you want with a very high level of granularity, even excluding rows. For example, let's say you have an Employees table with the following columns: Name, Email, Salary and StartDate. With custom views, you can display the list of employees by Name, grouped into salary chunks and ordered by start date, with email hidden. We have made this feature available as a module in all Qrimp apps. Install it today to give it a try and if you need help, a Help Topic is also available. If you switch to Qrimp from WebOffice, we'll migrate your documents for free! This is an offer to existing WebOffice customers. As you already know, Qrimp is a great choice to migrate from WebEx WebOffice and now we are making the choice even easier -- we'll migrate your documents for free when you pay for a year of service in advance! Here's how it works. When you backup your WebEx WebOffice application, they'll create a compressed archive of your files. We'll connect to your FTPS backup location, copy the files to our servers and import your documents records at no cost to you. It's quick and easy. All we need from you is access to the Documents archive and the password used to open it. We'll handle the rest. It couldn't be easier! If you want us to import your databases, and connect your documents to your databases, you will have to pay the full $1500 set-up fee. IE 11: We've just got to try it. We've been loyal to Firefox with Firebug for browser development for over 6 years now. But there is a new tool out there that is tempting us to defect. IE11. Yeah, that's right. IE. Since Microsoft released IE11 back in October, we got the few de rigueur emails from customers with broken features. (Sorry about that guys). It wasn't anything too serious, and we were able to get those issues sorted out within a couple hours. I must admit though, that we spend those hours cursing IE, assuming that this one would be nothing but trouble for developers, as most past releases since IE6. "Why even bother?" "I can't believe they're still trying". Since then, no more IE11 issues for us, but I have seen a bit of noise on Twitter about problems, even issues with Sharepoint workflows! (See Mark A. Drake's post: http://markadrake.com/examples/sharepoint/ie11-fix/). In the meantime, we've been checking it out. Imagine our wonderment and delight, when we see the long-awaited "Inspect Element" upon a right-click. The F12 developer tools look really good. They're very fast. The whole browser is fast. There's a cool gridline overlay when you click on a div. This looks really promising! And it looks like we're not the only ones to think so: http://www.sitepoint.com/internet-explorer-11-review/. (Skip to "Innovations"). Meanwhile, back in Firefox, Firebug is increasingly slow. On my computer it is now taking up to 3 seconds to inspect an element. It's frustrating, but it's become part of the routine, and I've got the physical memory down pat. And then this quiet little thought reminds me: IE11. Oh yes, but all of my passwords are stored in Firefox. As I'm waiting my mind wanders back to IE11. We talk in the office about it. Maybe we should give it a try. Yes, "browser lock-in" on Firefox is a significant barrier. It will take some time to transfer logins, sites and passwords into a new browser. But will moving stuff to IE11 take more time than Firefox speed issues waste? If IE11 is better, then after a month, or several, it will be worth it. And how will we know, unless we try? So we're doing it. We are going to use IE11 for development for one week. And since it's Friday afternoon, that week starts Monday! And please, don't mention Chrome. Every website should have a contact form and a feedback tab! Contact forms and feedback tabs are good for you and good for customers! Website visitors will help you improve your site! I was just browsing around the web and I got to a website that had a problem on it. I wanted to let them know, but I was in the middle of something else, so I didn't want to hunt for their email, launch my email client, type in their email address and a subject, and worry that they were going to spam me later. I just wanted to anonymously let them know that a button on their website didn't work. On another site, I wanted to contact the company about a similar issue. They had a contact link at the bottom, but the link was a mailto: email address. I clicked it and it launched Firefox's choose email app dialog. Taking the time to deal with an email application was more than I bargained for. I just wanted to tell them about the issue I found. If you want to communicate with your customers and get feedback, you have to make it easy for them. The more steps there are between you and your customers, the fewer customers there are who will take them. If a customer helps you identify a bug or typo on your website, or is able to ask you a question quickly and easily, you may get more customers! Have you noticed the feedback tabs that have started to appear on the right-hand side of many web pages? We like these. They make it super easy for website visitors to communicate with web developers and content writers about the website itself. These slide-out boxes with their telltale vertically-aligned text are becoming more and more common. They may be the new defacto standard for letting your customers report issues with your website. Don't make any fields required. Required fields limit interactivity. You don't have to have any information about a customer if all they want to do is tell you about a typo on your website. Five fields maximum! Even five is a lot. Have an email and phone number so you can get in touch with them if they want you to. Name and message are the only two needed. You may want a company field, but probably not. Have your form email you when submitted. If someone submits the form, have it go straight to your email inbox. If you walk into a store and want to ask a question and no one answers you, how do you feel about shopping there? If they've filled out the form with contact information -- respond in a timely manner. Get back to them the same day or at the latest, the next day. In your email notification, include a link to a form back to the website with a form to respond. Fill in the answer and store it so you know you've responded to the customer. You can automatically add that customer to your CRM system, it may come in handy later. Putting a simple contact form on your website with a name, phone number, email address and message box is really fast (okay, at least for Qrimp users). Even if you have to do it the hard way, build that page and form. The help and goodwill from your customers will be worth it!